1795-1856 ½¢ Pieces. Lot of 9 ½¢ pieces, Good-VF. 1800-1857 ½¢ Pieces. Collection of 25 different and 1837 Token in Wayte Raymond boards, mixed condition Good-XF. 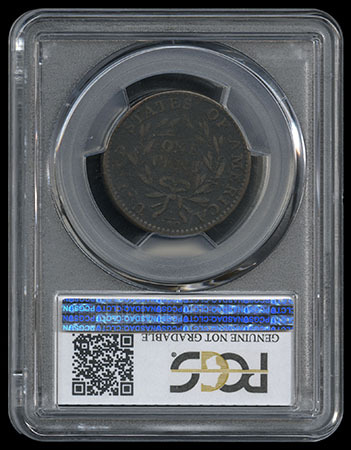 1811 Classic Head Half Cent. 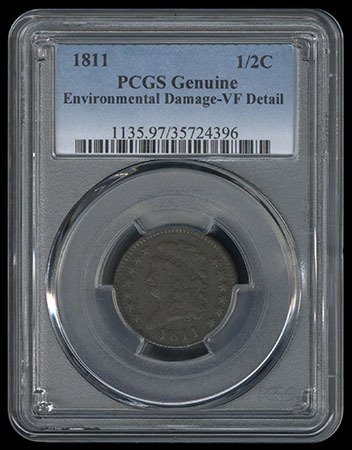 PCGS "Environmental Damage - Very Fine Detail". 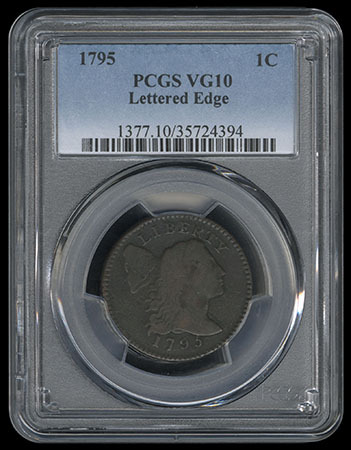 1797-1855 1¢ Large Cents. Lot of 31 mostly different Large Cents, includes 1797, 1798,1801, etc. ; mixed condition. 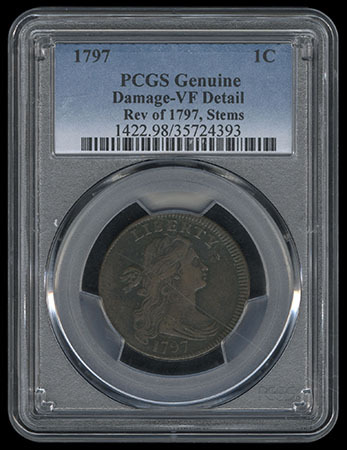 1798-1857 1¢ Large Cents. Collection of 62 different Large Cents on Wayte Raymond boards, some faults (1809 handstamped, 1811 cut) but lots of better condition coins. 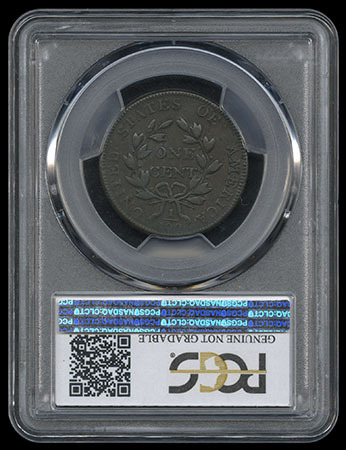 1794 Liberty Cap Cent. "Head of 1795". 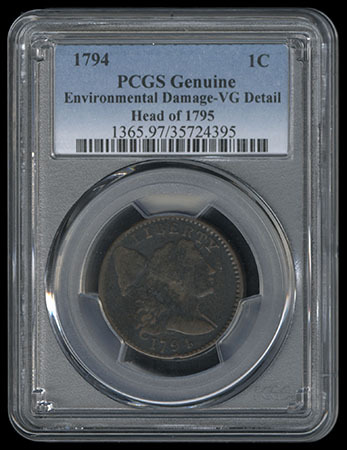 PCGS "Environmental Damage - VG Detail". 1795 Liberty Cap Cent. Lettered Edge. 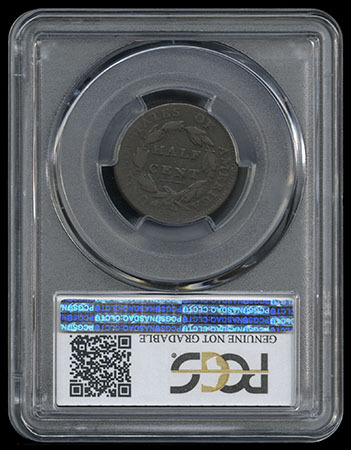 PCGS graded VG-10. 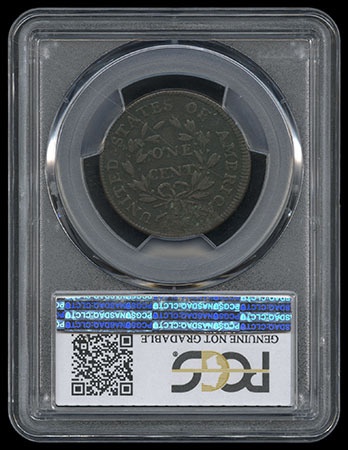 1797 Draped Bust Cent. Reverse of 1797, Stems. PCGS "Damage - Very Fine Detail". 1802 Draped Bust Cent. 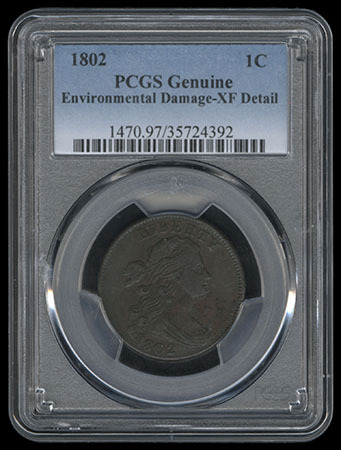 PCGS "Environmental Damage - Very Fine Detail". 1937-58 Small Cents Collection. 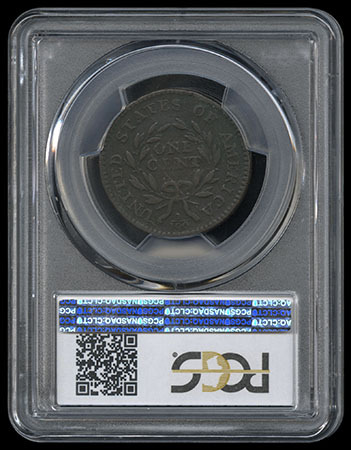 Of 37 different slabbed pennies, each a GEM MS66RD PCGS graded coin; a magnificent grouping of high grade slabbed PCGS holdered pennies.